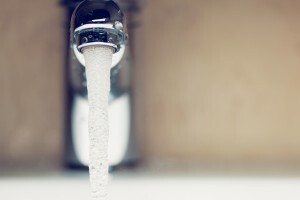 If you’ve been considering a home water filtration system for your residence in Austin, TX, RainSoft can make sure you get the technologies you need. We’ll help you get to the bottom of any water quality concerns you might have – whether it’s strong-smelling water, water with an unusual color, water with suspended sediment, or anything else. Then, we’ll recommend a system that will address the issues at hand. At RainSoft, we know that there’s no such thing as a one-size-fits-all water filtration product. We’ll test your water for a wide range of common impurities, then suggest a system for your specific needs. We manufacture an extensive collection of whole house problem-solving filters, all of which have been Tested and Certified by the Water Quality Association and NSF International. Your authorized Austin RainSoft dealer will be your guide through the entire process, interpreting your water test results and demonstrating how the right filter can make a major difference in the quality of your water. For instance, you might find that a chlorine filter makes your water smell much fresher, or that an iron filter eliminates the troublesome reddish tint that’s been discoloring your sinks and toilet bowls. When you’re ready to get started, just call your local authorized RainSoft dealer. We’ll schedule a complimentary in-home water test to help you find the ideal home water filtration system for your Austin, Texas, residence.